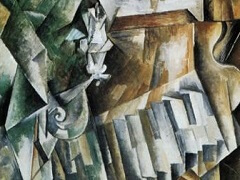 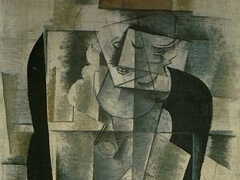 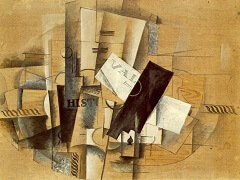 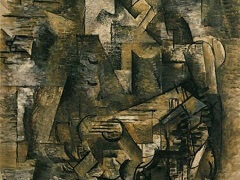 Braque painted Man with a Guitar in a mode that came to be called Analytic Cubism. 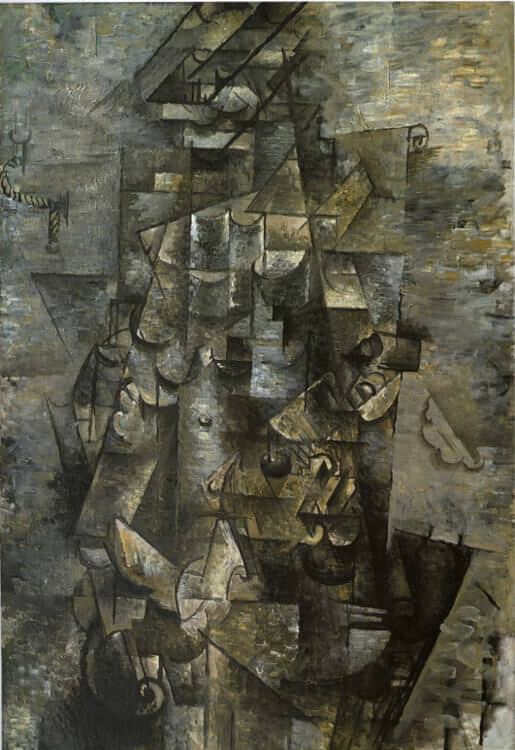 In works created in this style, he and Pablo Picasso experimented with different types of representation to challenge the orthodoxy of illusionistic space in painting. 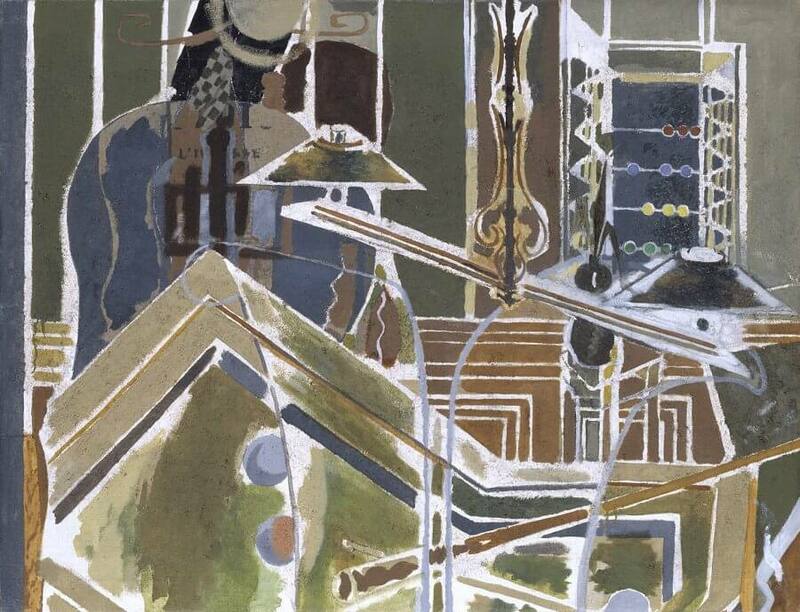 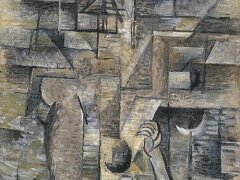 Here Braque paired an accessible, lifelike rendering of a nail and rope, at left, with a nearly indecipherable rendering of a human figure playing a guitar. 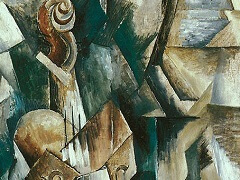 Braque and Picasso's collaboration was so close when they developed Analytic Cubism that Braque later compared them to two mountaineers, bound together. 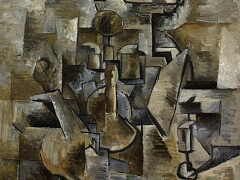 In order to remove the mystique of the maker from their paintings, they both habitually signed the back of their works instead of the front.